While the rest of the country stayed glued to their television screens for Super Bowl Sunday, Krizz Kaliko kept busy with a 24-hour Twitter marathon which he used to interact with fans from all over the globe. Krizz Kaliko’s Twitter marathon began early Sunday as he announced to his fans that he would be tweeting for a full 24 hours. The “Twidder-thon”, as he referred to it, included a hilarious exchange with Strange Music’s Big Scoob and ended with a big reward for those who stuck with the genius for the entire day. Before signing off for good, Krizz Kaliko gave fans a huge update as he revealed the official date for Kickin’ And Screamin’ – May 15, 2012. Fans may recall that Kaliko had recently annnounced a change in plans for the album and confirmed that its release would be pushed up. With an official date set, fans can now expect another hit Strange Music album among a year of highly anticipated releases. 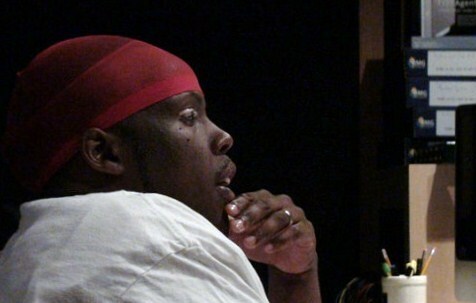 What will Krizz Kaliko reveal next? Stay tuned for more! Did you follow Krizz Kaliko’s Twitter marathon? What do you think of the new release date?